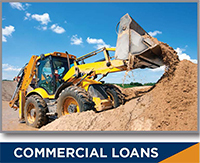 At Community Bank, we don’t believe in a “One Size Fits All” approach to loans. Our goal is to put together a loan that is right for you. 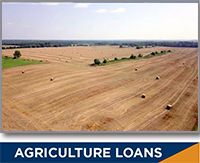 Because of that philosophy, we can tailor almost any kind of loan to fit your needs. We offer customized underwriting for all loans. What does that mean for you? It means flexible terms, quick decisions and the ability to make a loan that is tailored to your financial situation. Call or stop in to see if we can put together a loan that works for you. Contact a friendly Community Bank lender with any questions you may have.